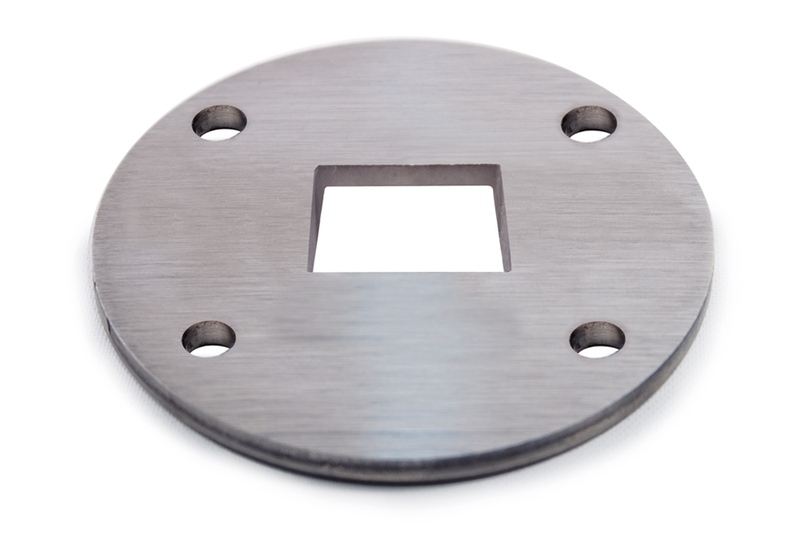 This INOX Flange is stainless steel and features a 1 9/16" by 1 9/16 hole. Hole 1 19/32" by 1 19/32"
Stainless Steel Bar Holder 1/2" Dia. 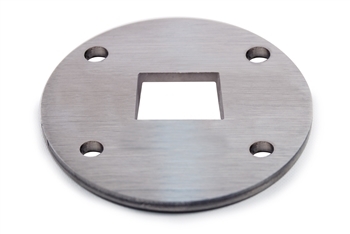 Hole for 1 1/3" Tube Stainless Steel Bar Holder 1/2" Dia. Hole for 1 2/3" Tube 316 Stainless Steel 1 2/3" Newel Post Floor Mount Stainless Steel End Cap Semispherical for Tube 1 2/3" Dia. 316 Stainless Steel Bar Holder 1/2" Dia. Hole for 1 1/3" and 1 2/3" Dia. Newel 316 Stainless Steel 1 2/3" Newel Post Wall Mount Stainless Steel Bar Holder 1/2" Dia. Hole for 1 2/3" Tube Stainless Steel Handrail Support Elbow 90d Angle 2 61/64" x 2 61/64", 1/2" Dia.